For a laptop priced under $400, Acer Aspire E 15 E5-576-392H carries some nice tech specs and provides smooth, lag-free performance. In fact, it's everything you wish a budget-laptop had. 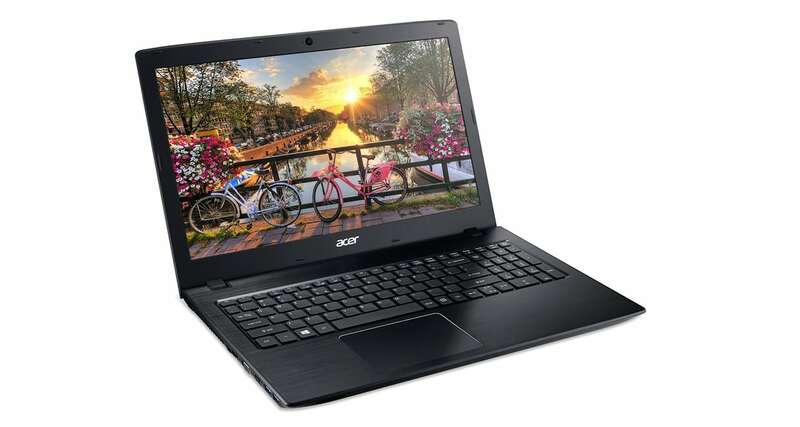 Acer has updated their laptop lineup with the latest 8th generation Intel Core processors. One of these laptops is Acer Aspire E 15 E5-576-392H which is a budget-friendly laptop with some really nice tech specs. 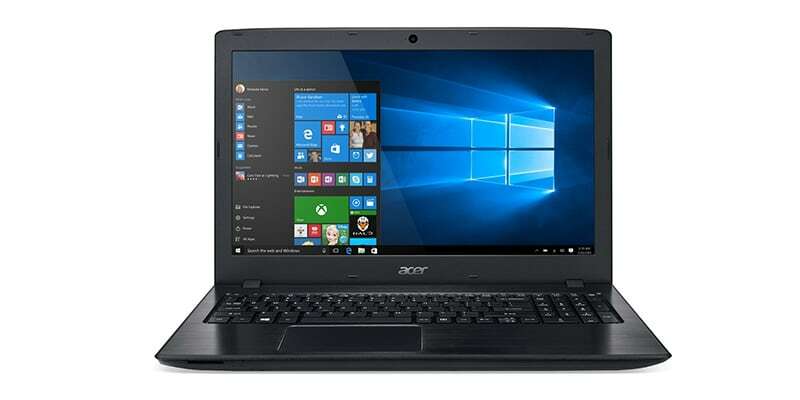 For less than $400, this Acer laptop has an Intel Core i3 processor, 6GB memory, and 1TB HDD. What’s more exciting about this Aspire laptop is its all-day battery life that can last for about 12 hours. Powered by the latest 8th generation Intel Core i3-8130U processor, Acer’s new Aspire model hits the right note at producing power. The processor supports Turbo Boost up to 3.4 GHz which makes sure you always have enough power to run your apps smoothly. Coupled with 6GB RAM, the processor does its job really well at executing multiple tasks at the same time. The 6GB RAM is a pleasant amount of RAM to have in a budget laptop because many other laptops at this price still carry 4GB RAM. It would have been even better if it was DDR4 RAM instead of DDR3. In addition to a wonderful processor and a pleasant amount of RAM, Acer has shipped 1TB of storage. The 5400 RPM HDD does a nice job at data transfer but don’t expect the performance of an SSD here, of course. The 1TB space will let you store a lot of data right on your laptop without the need of carrying a separate portable hard drive. The 15.6-inch LED-backlit Full HD widescreen display of Acer Aspire E 15 E5-576-392H is definitely a good one in terms of native resolution. While most manufacturers still ship a 1366 x 768 pixels display, Acer has shipped this laptop with 1920 x 1080 pixels display. The display, however, doesn’t really provide a great experience when looked at it from the sides. Expecting a wide viewing angle might be too much from a budget laptop under $400 but it would have been a nice thing to have. On the software side, Windows 10 Home does a good job at performance and stability. Overall, it runs without lag but expect a few hiccups at startup and while updates are being installed. Other than that, Windows 10 runs pretty smooth during regular tasks. The most exciting feature of Acer Aspire E 15 E5-576-392H is its battery performance. Although Acer claims this laptop to provide up to 13.5 hours of usage, expect somewhere between 9 to 12 hours on a full charge from this 6-cell 2800 mAh Li-Ion battery. The battery backup will depend on the type of usage, of course, so you may get a better or a poorer backup based on how you use the laptop. 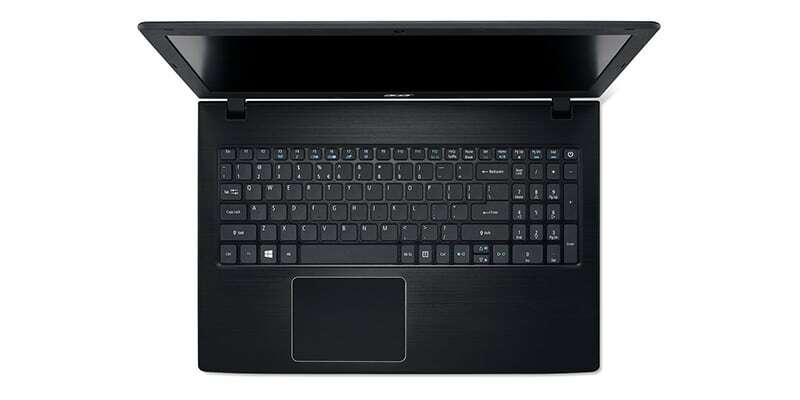 Acer has packed this Aspire laptop with plenty of ports. An HDMI port with HDCP support, a VGA port, 1 USB 3.1 Type C Gen 1 port, 2 USB 3.0 ports (1 with power-off charging) and 1 USB 2.0 port are present. Moreover, an 8X DVD drive and a SD card reader are present, too. It’s also great to see 802.11ac Wi-Fi with MU-MIMO which promises uninterrupted and ultra-fast wireless connectivity. Bluetooth 4.1 is also present to let you connect to other Bluetooth-enabled devices. Overall, Acer’s new Aspire model is definitely an exciting budget laptop. It carries the latest 8th generation Intel Core i3 processor, 6GB RAM, 1TB HDD, 15.6-inch Full HD display and plenty of ports. For a laptop priced under $400, Acer Aspire E15 E5-576-392H does a great job at providing stable, lag-free performance. Users who find this laptop slow will need to lower their expectations a bit. You should know what you shall get when you but a budget-friendly laptop. Don’t expect this laptop to be a powerhouse, of course. If you’re looking for an affordable laptop with some nice tech specs and good performance under $400, this Acer Aspire laptop is for you. If your primary usage is to run Office apps, web browsing or enjoying music and movies, go for it. 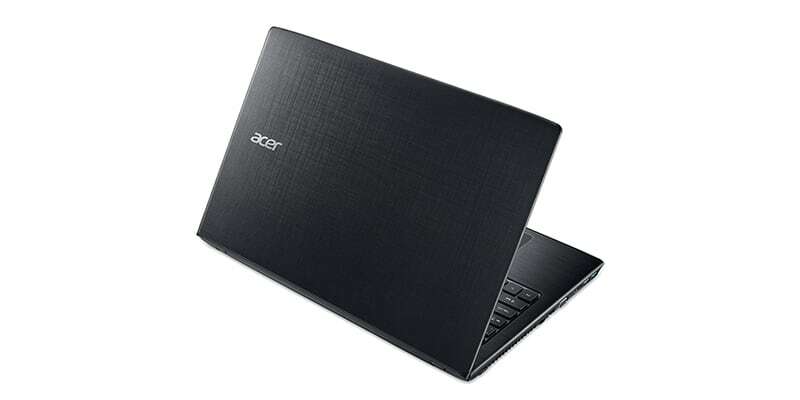 Acer Aspire E15 E5-576-392H is currently the number one bestselling laptop on Amazon. And now you know why. For a laptop priced under $400, Acer Aspire E 15 E5-576-392H carries some really nice tech specs and provides a smooth, lag-free experience. With an all-day battery backup, this Aspire laptop is one step ahead of competitors.